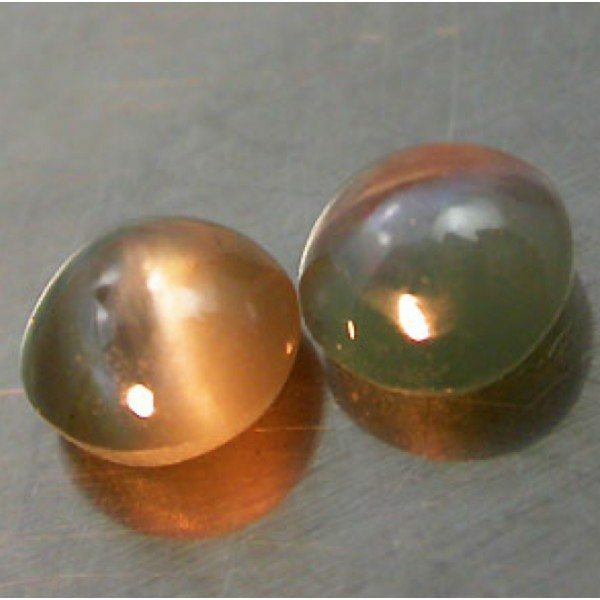 This is a beautiful pair of natural Cat’s eye Alexandrite, a variety from the Crysoberyl family, with a typical color change effect from green to orangish purple. 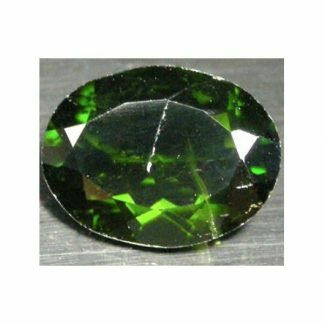 Alexandrite is popular for its color change optical effect because under incandescent light display a hot orange red color instead of the natural green color under natural light like the sun light. 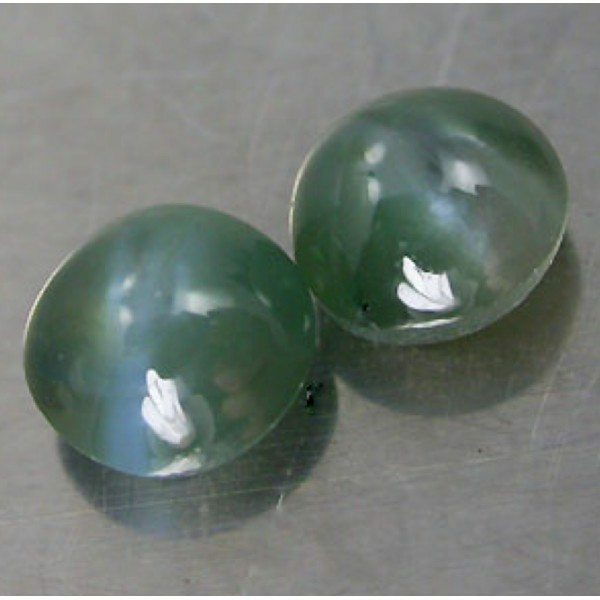 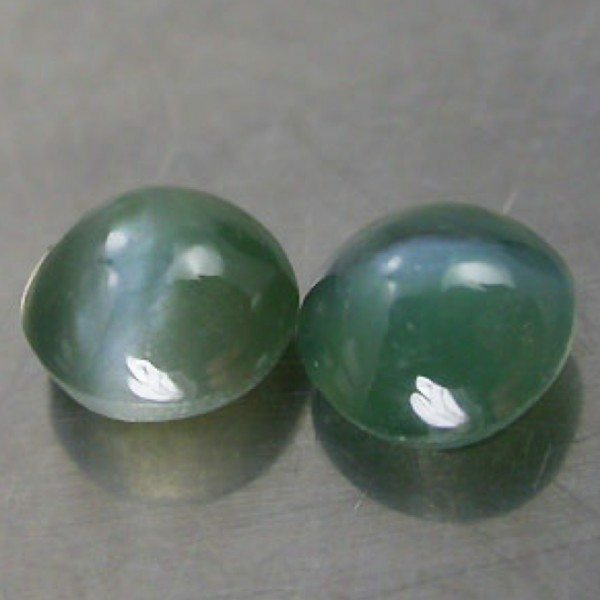 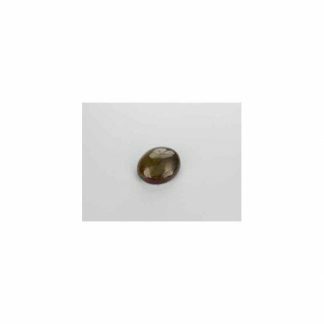 This gemstone pair weight almost a carat, they comes from India and present a rare optical effect called chatoyancy, typical for the Chrysoberyl gemstone that resemble a cat’s eye, optical effect often used to name this kind of gemstone from the chrysoberyl mineral family. 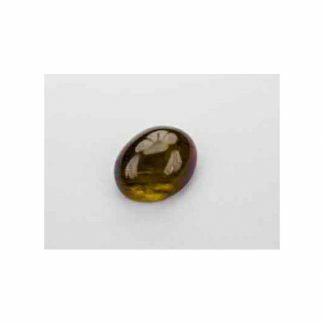 Size: 3.8 X 3.8 mm.